Of course, there are compromises. Expect to see dialled back texture filtering and lower precision effects (though the fact that the game retains elements like volumetric lighting and screen-space reflections is impressive to begin with) and then there's the resolution situation. In common with Panic Button's Doom and Wolfenstein 2 conversions, dynamic resolution is in play, adjusting the pixel count based on GPU load. This is an option on the current console versions of the game, but it's always active on Switch - and it's a key aspect in making this conversion possible. 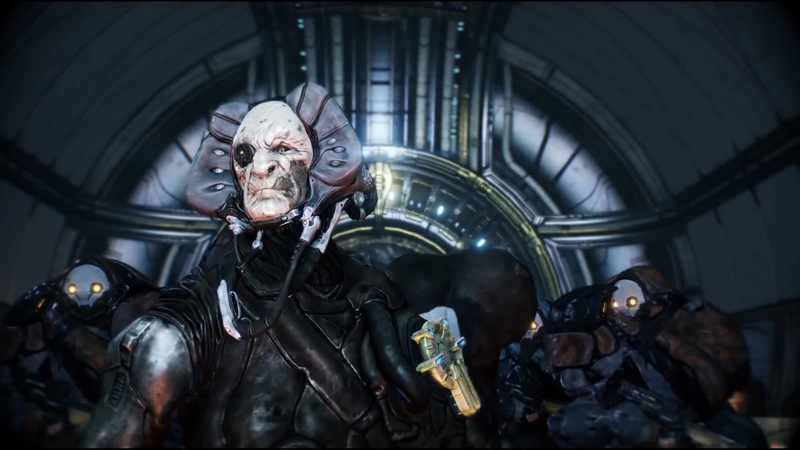 John and Rich sit down to discuss Warframe on Switch - plus there's a quick look at the recently patched - and improved - Wolfenstein 2. 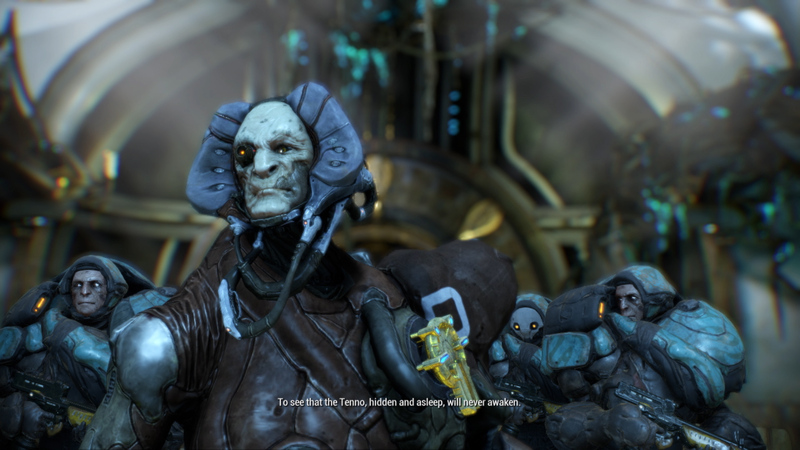 But with visuals as rich as Warframe's, the price is paid with a big hit to clarity - we noted docked play dropping to as low as 540p, topping out at 720p and averaging out somewhere in-between. In portable play, the same upper bounds are in place, though resolution obviously drops even lower - 432p being the lowest pixel-count encountered. The visual make-up of the game remains the same, but Panic Button makes one noticeable cut here - screen-space reflections are completely removed, which can cause some issues on water surfaces. Does the game hold up visually overally? Well, it's a similar situation to Doom and Wolfenstein - on the one hand, the game presents in a very blurry fashion (especially so on when gaming on a large living room flat panel) and while the same indistinct image quality is in place in mobile play, somehow it seems to stand up better - principally because the smaller screen makes the visual cutbacks more difficult to pick up on. The game's PC-style options menu allows you to play with features including GPU particle density, ambient occlusion, motion blur and depth of field, but this doesn't result in any real gain to performance. Instead, there's a small increase in resolution as the DRS system finds more GPU resources to utilise. Our advice? 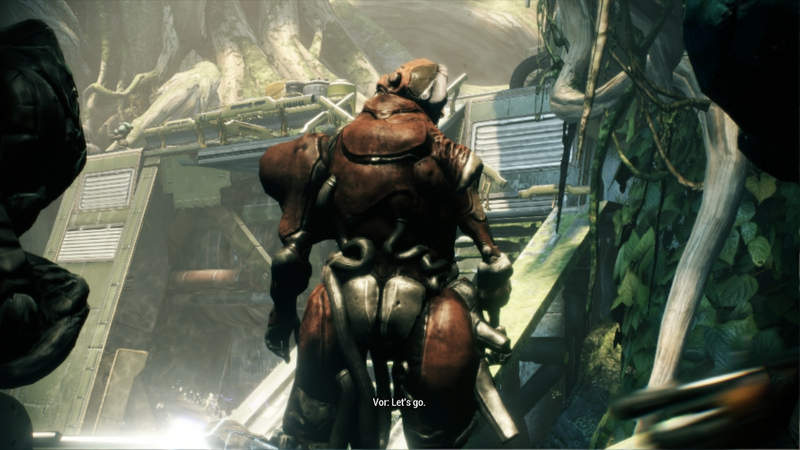 Leave everything turned on, especially the motion blur - the slightly increased pixel-count doesn't compensate for losing many of Warframe's well-executed visual features. The Switch version stacks up nicely against the game on PS4 Pro but the reductions are clear; reduced resolution, subtle changes to certain visual effects and a lower frame-rate. 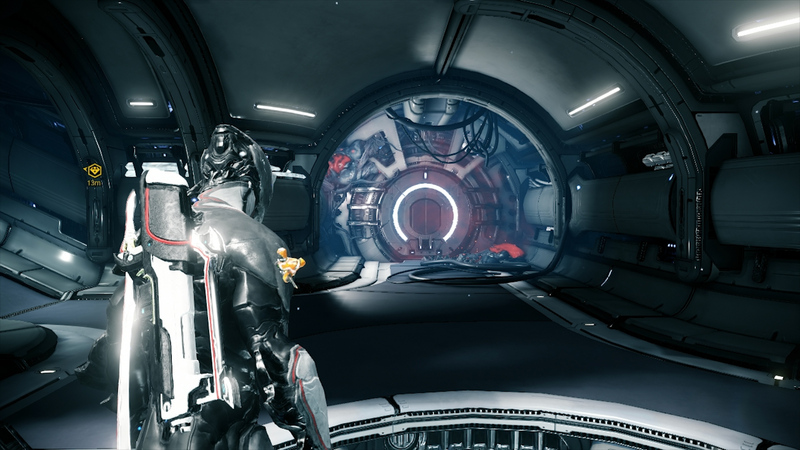 Warframe has changed significantly since its initial release in 2013. The entire first mission takes place in a completely different area with modified lighting and materials. The Switch version is based on the current version of the game. The portable mode holds up nicely compared to the docked experience. The resolution can drop slightly lower but most of the effects are included in both modes. 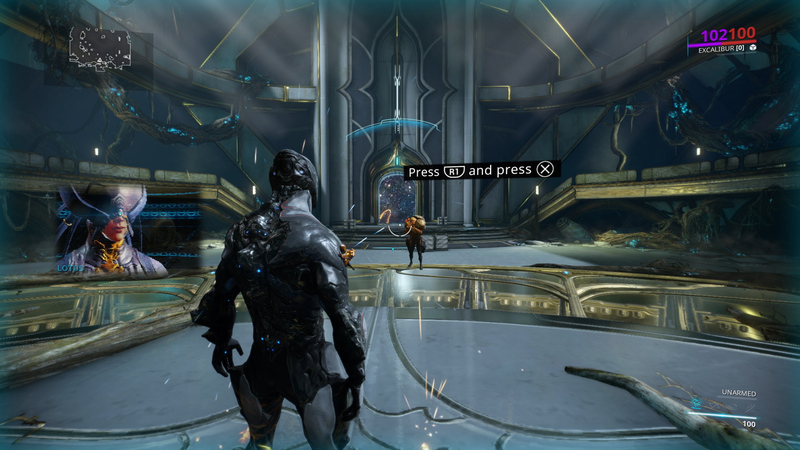 Screen-space reflections are the one main visual feature eliminated when playing in portable mode. In common with Panic Button's other showcase Switch titles, the Warframe port is made viable by halving the game's target frame-rate - 60fps on the current systems transitions down to 30fps on Switch, but performance is considerably more consistent than the team's existing id conversions. 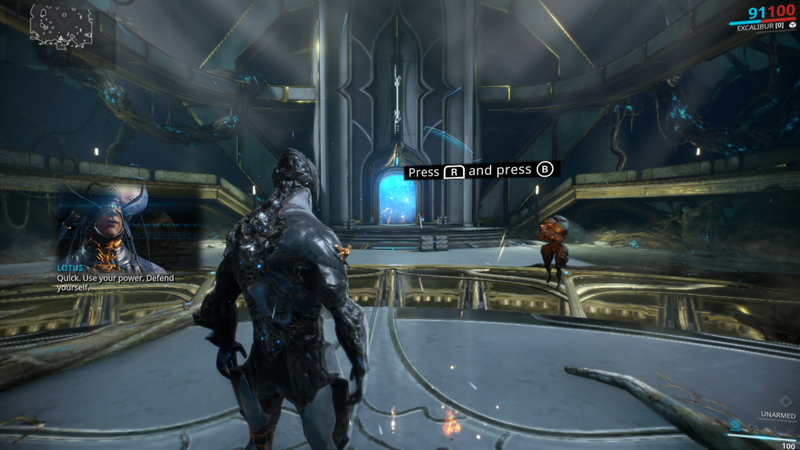 In fact, just about the only time we could budge the game from its target performance level was in Warframe's hub section, which sees frame-rate drop to around 25-26fps - which remains much the same regardless of whether you're playing docked or in portable mode, with all graphics settings enabled or disabled. Perhaps we're hitting a CPU limit here, but happily this is the exception - not the rule. It's somewhat jarring to transition from 60fps action on the PS4 down to 30fps on Switch - and aiming is certainly harder - but once you've adjusted, the game still works just fine and fundamentally, just like Doom and Wolfenstein 2, the conversion simply wouldn't have been possible had Panic Button not made this compromise. Cutting the target frame-rate in half doubles the amount of GPU time available to render each frame and eases the burden on Switch's CPU - remember that developers have only three ARM Cortex-A57 cores to work with, operating at just 1.02GHz. 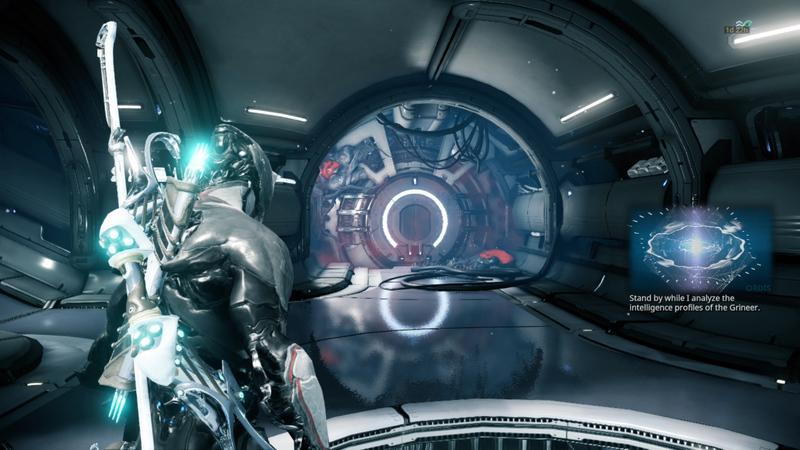 Compared to Warframe's turnout compared to the other console systems, the Switch conversion is clearly the least impressive version available, judged by whatever measurable criteria you care to come up with. However, Switch's USP remains the fact that so many great games are playable in a handy, portable form-factor, and the notion that this is all running on a three-year-old mobile processor on a pittance of a power budget is quite the technical feat - and another feather in the cap for Panic Button, who've managed to deliver this, Doom and Wolfenstein within the space of just one year. A conversion of Doom Eternal is the next triple-A Switch project the team is working on, and we can't wait to see it.